For over a decade, Stevenson Law Office has fought to level the playing field in criminal defense and DUI cases in Missoula, Montana. Our law firm advocates on behalf of clients to shield them from unforgiving prosecutors, in state and federal court. Our attorneys have appeared before nearly 80 judges in Western Montana, and know what it takes to fight against prosecutors. In a harsh criminal justice system, our clients often find themselves disadvantaged, facing charges that could jeopardize their future. 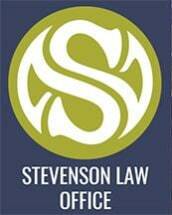 For Stevenson Law Office, no criminal defense case is too challenging, as we employ a personalized defense for every client. We carefully evaluate all evidence and consider every courtroom approach to choose a defense best suited for your case. Born and raised in Montana, founding attorney Mat Stevenson has practiced criminal defense for over a decade, appearing before over 40 courts throughout the state. Our law firm believes in limited government intrusion and the strict defense of constitutional rights, and works diligently to defend the rights of our clients. While most cases are taken in Missoula and Ravalli counties, our law firm can take cases from anywhere in Montana. When our clients feel defeated by prosecutors, they come to us. Our law firm works tirelessly to defend the rights of Montana residents. If you need an ally, schedule a free consultation with a lawyer today.